If you can get a blackberry passport cheap, i would say it is pretty cool. If it wasn't the fact blackberry suddenly dropped support for it, i'd say it is one of the best phones I've had. Now just good for certain things, like CPC on the go. I can't find the author of it, or even the proper name - it's called EMU-CPC on here. I think it might be bb-cpc, but i cannot verify as it appears no longer on the bb store. I had to hack in an amplifier and speakers, which barely fit in the case. To make it fit well indeed takes more than 20 minutes. In my case, the main problem that prevented the case from snapping / closing neatly again were the wire that had to be soldered to the side of the header pins. These wires (and the solder) are thick enough to prevent the case from flushing cleanly to the PCB. I use an exacto knife to cut away some of the clear plastic such that the cables would find enough space. After that, everything just snapped into place neatly. The speaker and amplifier is loud and clear. Not complaints so far. I have it mono only. Two of those, plus a stereo amp. It's pretty quiet from its default gain. I should really rewire it. If you do it, make sure you put in a power isolation switch. These amps, though very low power, will drain the CHIP's battery when it's turned off. Can't confirm any of these issues - it is rather too loud, and there is no power draining at all (checked with a multimeter). Did you wire the right pins? What pencil grade did you go for? I prefer HB, but I have a 2B here aswell in case that doesn't work. Grade doesn't matter as much as the brand, of course - Only Faber Castell. Wouldn't even think of using anything else either! I am going to sell my EeePC 900a, black, with maximal 2 GB RAM and large 32 GBs SSD. Includes pouch and charger. Mouse buttons can be a little bit delicate from time to times, but most people would want to use an external wireless mouse anyways. Otherwise, in great condition. US keyboard. Perfect for emulators (caprice32) with Ubuntu. LMK / PM if you are interrested. Asking for 50 $ + Shipping. For illustration - Fruity Frank on my other EeePC (I am keeping this one, but the one for sale is identical to this one). Can't demonstrate the one for sale, as I have already erased nuked the SSD - but I used Ubuntu 16.04 LTS. 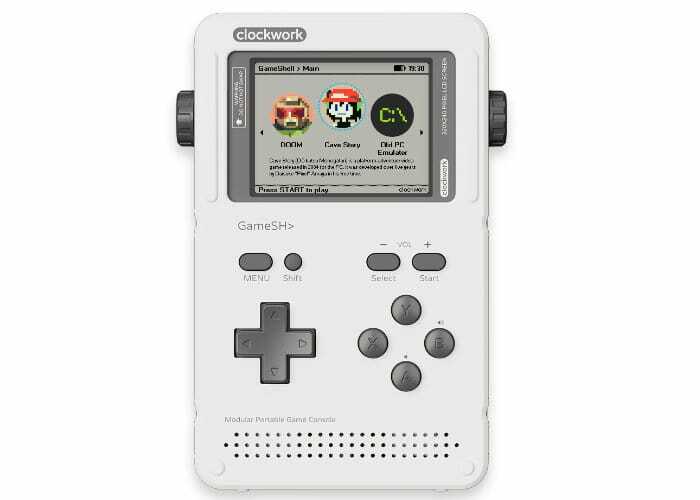 Doesn't check all the boxes (no mode 2 for instance due to screen resolution) and is not commercially available (got it through KS myself), but the Clowork Pi is really excellent and can run tons of machines or single games! The Odroid Go has now a keyboard, still no Amstrad CPC emulator though. MAME's CPC module doesn't run very fast on smaller machines, i.e. there's some frame skips for several CPC games on the Pi, but it works well enough. So the Pi3 isn't quite fast enough? That means that the old Rasberry Pi I have (I think it's the first one) definitely isn't fast enough either. And the Pi3 is the latest model, right? I actually also use MAME and MESS... Installed Lincade on a Linux boks inside an arcade cabinet. Using it mostly for MAME, but there's also an Amstrad emulator on it. The PC is an old 700 Mhz something, which seems to be fast enough. However, I have to manually type to load games. The C64 mini allows me to just select a D64 image, and then it loads. The Pi1 has a 700 MHz 32bit ARMv6 Singlecore. The Pi2 has a 900 MHz 32bit ARMv7 Quadcore. The Pi3 has a 1200 MHz 64bit ARMv8 Quadcore. Sure, it's a bit bigger than those other mini models, but it's still somewhat small compared to other consoles, and it offers the important parts: A menu to start games from, no need to type anything, thanks to all the patched games we have for the C4CPC. The only downside is there's no HDMI, so you need a TV with SCART, and then the framerates doesn't match. The 50 hz signal will be shown on your 60 hz TV... which is somewhat annoying. The image quality on the C64 mini is absolutely stunning. But apart from that, I actually think the GX4000 kinda qualifies... which kinda makes Amstrad the first to make a mini model. So... to avoid typing on an emulator, we'll just need one that runs cartridge files. Right, I just sold my C64 mini... and my CDTV (FPGA C64) as well. I guess I was really looking for something battery powered that is "all in one". The Pocket CHIP fits my needs perfectly now. Besides that, you only need to type run" once, and then you can use the snapshot function. Btw, after a longer time of no use, I could indeed witness the battery draining effect of the add-on amplifier and loudspeaker. So I put in a switch to cut off the battery. Maybe Bryce could try fitting an LCD and keyboard and battery into a GX400? ...once for every game I want to play. That's still too much. It really depends on whether you want a "full" CPC with keyboard, or not. For that reason, since I was never so big on games on the CPC, I never really got enthusiastic about the GX400. I actually don't even have one... but it would be good to complete the Amstrad collection, maybe I'll get myself one next year. Well, I realize that this thread is actually about a "pocket CPC", rather than a "mini CPC". I.e. you want a CPC with screen and keyboard, while I was after more something like the C64 mini, i.e. a small version of the machine without screen and keyboard, but with USB and HDMI instead. Although a pocket CPC could also be nice, for working on that BASIC game while on the go. That would almost certainly be an emulator though. Why hasn't anyone mentioned the Gemini PDA in this regard? Actually i didn't think of using my msi wind for a cpc portable, might give it a go. I know in the past that WinAPE was pretty taxing on the hardware and I used to use Maro Veith's EmuCPC because it was so much faster. Call me Santa Claus (well use a bluetooth keyboard though), check https://www.waveshare.com/game-hat.htm (seen at https://www.minimachines.net/actu/gamehat-raspberry-pi-69289). Tried that too by now. Not bad, especially since the RPi 3B+is almost fast enough for smooth Amiga gameplay as well. Still, some (little bluetooth) keyboard IS required for most emulators unfortunately, which takes a bit the fun out of it. I can post pictures or a video if there is any interest. The PSP CPC emulators and such have a built-in virtual keyboard that pops up. Which is extremely helpful if you just want to type run". For that reason, in terms of handling, the PocketChip is superior to the Waveshare RetroPi combo. And the PSP CPC emu is really the most fun in terms of handling I must say. But PSP is too slow for Amiga emulation, even with latest emulators and firmware updates. So far, the PocketCHIP is still my preferred "Pocket CPC" I must say. Page created in 0.282 seconds with 101 queries.